A professional chemical hair relaxer can bring women with tight curls or kinks in their hair a whole new look, by relaxing the hair to a straight, permanent look. By definition, a hair relaxer is a lotion or cream that makes the hair easier to straighten and manage. It reduces the curl by breaking down the hair strand and chemically altering the texture. Most women who decide to get their hair relaxed have curly hair who want it to be stick straight without any frizz. The results vary depending on your hair type, but usually a hair relaxer will leave your hair straight for about six to eight weeks. Unlike other permanent straightening methods, relaxing your hair will require touch-ups from time to time. You can go to a professional stylist, or you can purchase a hair relaxing kit to be used at home. What are the Benefits of Going to a Professional? While getting a professional chemical hair relaxer may be expensive, it is the best option if you decide to relax at all. Putting any sort of chemicals in your hair is damaging if not done properly, and it requires careful attention that a professional like those at Salon Frank Paul can give. First off, a professional can perform a “strand test,” which will test the strength of your hair in order to further assess which type of relaxer is best for you. 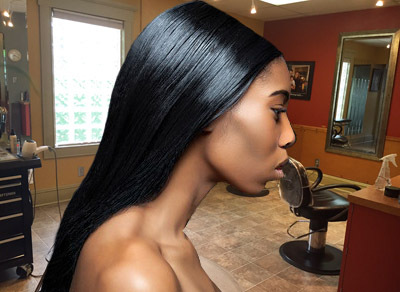 Apart from our stylists’s years of experience, they actually keep records of what treatments you have had or what procedures other clients had that will help them determine the best type of relaxer for you. Hair relaxers, most commonly, are available in two types: Lye relaxers and No-Lye relaxers. Opinions on the two vary, but as with everything, it depends on your hair type and texture. Lye relaxers are known to work quickly on the hair, but as a result they might also rinse out of your hair easily. Their main ingredient is sodium hydroxide, and they are also known as alkali relaxers. No-lye, on the other hand, is mostly made of calcium hydroxide, which can dry out the hair. However, no-lye is better for people with sensitive scalps. When using no-lye, it is imperative that you use a de-calcifying shampoo to prevent calcium buildup. What are Some Disadvantages of Using a Hair Relaxer? 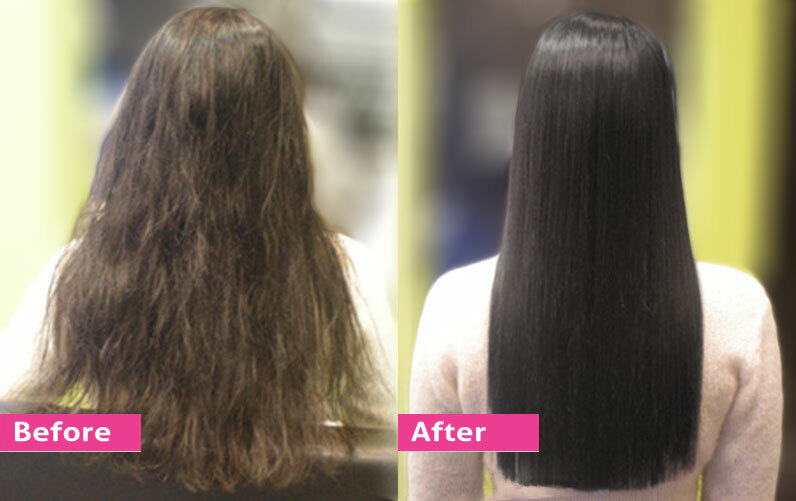 Hair relaxers are very powerful chemicals–they have to be if you want your hair’s texture altered so drastically. Depending on your hair type, hair relaxers might cause breakage, hair thinning, and stunt your hair growth. Some women have also complained of scalp irritation, scalp damage or hair loss. Remember that hair relaxers are stripping your hair of its natural oils, so be very attentive to your hair if you decide to relax it. Depending on your hair type, hair relaxers might cause breakage, hair thinning, or stunt your hair growth. Many people praise the magical abilities of hair relaxers, and return to their stylist over and over for it. However, achieving manageable, straight hair cannot be done without proper care. If you decide to get your hair relaxed, be prepared to pay special attention to it. Keep your hair properly moisturized, as hair relaxers are drying to the hair. Use deep conditioners weekly, drink plenty of water, and utilize leave-in conditioners. Be sure to use a reconstructing shampoo and conditioner the week following your hair relaxing, and stay away from heat that will further dry your hair. Taking a Biotin product daily, like Hair, Skin and Nails will help your hair growth cycles last longer and be stronger. And of course, understand that if you get a relaxer, your hair may be damaged in the long run and will require special care to repair it. Our experienced stylists have years of experience with chemical hair relaxers. You can be assured that you are in good hands at Salon Frank Paul, while you relax in urban luxury. 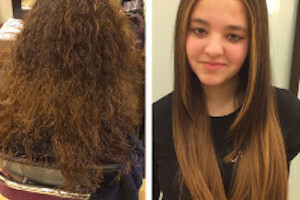 Call us at Salon Frank Paul today for a consultation about straightening your hair at: (719) 635-9972. Or click here to communicate with us online. Read more of the above article on NaturallyCurly.com, in an article called: HAIR RELAXERS: WHAT YOU SHOULD KNOW.